There are many ways to drive traffic to a website. One of most effective ways is to write a guest blog post for an authority website. This method is called guest blogging. It is free and highly effective. Guest blogging leverages on the authority website’s brand and traffic and directs the traffic landing on the authority website to your website. It is very useful when you first start out building your own website’s brand as growing your website will take some time. If you are able to do one guest blog post a week, you will be able to see a substantial amount of traffic to your website after some time. But first, how do you get the permission to write on other people’s blog? Here are some quick tips for landing guest blog gigs and making sure that the guest post that you have written will drive traffic to your own website. First, you need to know how to approach other bloggers. One of the most important thing to take note is that you are asking them for an equal value deal. That is you are confident that your post will be able to benefit their readers and also make them come back for more. If you approach them as if you are asking a favour from them, then it will stack the odds against you. When you approach these bloggers, inform them what you like to write and provide a few potential topics. All they need to do is to copy and paste to their websites after you provide them with your content. Outline what are the benefits for them and why you want to give them free content. Emphasize that it will be a win-win situation for everyone. Make it seem as risk free as possible. Next, invite them to “request” for your content instead of you pushing the content to them. See the difference when you adopt this approach compared to “begging” them for a favour? This make sure that they respect you and you are able to build a long term relationship with them. You probably will not get as many requests as you wish to but you should focus on those that get back to you and hope that you write for them. Moving on, the next part is about writing the blog post. In order to write an effective blog post, you also need to understand the website’s audience that you are writing for. 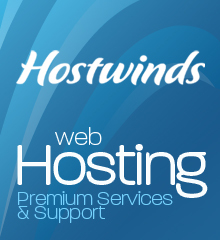 Each website has their own unique segment of audience. Do your research before you start to write. This way, it helps you to connect with the readers. Your final post should allow the readers to know who you are and understand why you are qualified to write the post. After that, they are more open-minded and willing to accept your content. Give them your best and let the guest post to do the “talking” for you. The goal of the article is not about selling someone on a click-through, but to write an article that is so good that they are willing to seek out the link in your bio box. Make people want to know more by giving them a taste of what you have to offer. 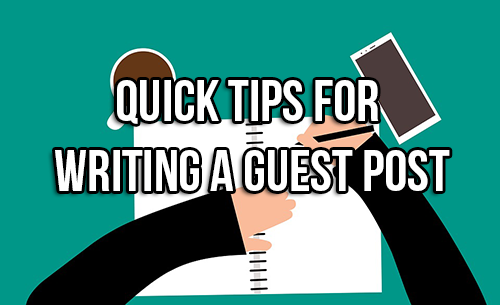 So here are the quick tips for you write an effective guest blog post. Go on and start finding some bloggers now! FREE BOOK WORTH $97: "Make Millions Online"
INSIDE The Book...You'll Discover The 4 BIG Secrets To Making Millions Online And Living A Life Of Freedom! Wishing You A Happy 2019! How To Create Professional Images Including Banners, Facebook Cover Photo And Many More Using A Free Online Tool! Ewen Chia has been marketing on the internet since 1997 and is widely regarded as one of the early internet marketing pioneers. Some of his online businesses include AutopilotProfits.com, CopyPasteIncome.com, CompleteBusinessSetUp.com, Autorespond.com and SuperAffiliates.com. Ewen's mission is to teach internet entrepreneurship and internet marketing as a vehicle for business building, branding, income generation and lead generation.